Aaaannndd we’re back! While David from LA is on hiatus, I will be your guest blogger, James Browning. While David is an honorary member of the rare native Angeleno (he moved here at the age of 7), I, on the other hand come from as far away from Los Angeles as is humanely possible... the midwest. Los Angeles is a diverse and exciting melting pot. Little Tokyo, Little India, Little Osaka, Little Ethiopa, and lots of other little countries and foreign cities residing in Los Angeles, but MidWesterners are a different breed altogether. I came to Los Angeles to pursue a degree in Spanish Language and Literature since Spanish is much more prevalent in Los Angeles than it is in Ohio. Since coming out to Biola University (La Mirada, CA) in 2005 I have moved a bit around Los Angeles and Orange Counties and I am now residing in West Los Angeles near Santa Monica. If there is one thing that I have learned in moving to an urban area is that traffic is terrible. If you are visiting Los Angeles you will find this truth to hold up no matter the location or time of day. The second truth is that parking is also pretty bad. As a result, I have discovered the joys and terrors of cycling. Many studies have concluded that commute of 5 - 7 miles takes the same amount of time or less than by car in urban areas. 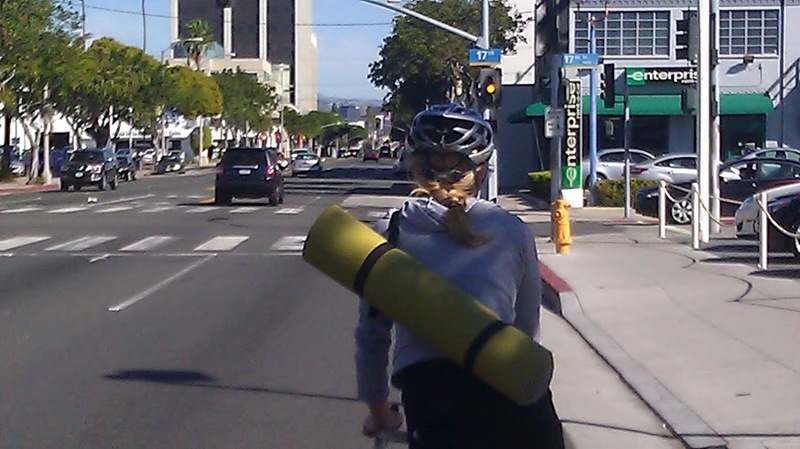 Additionally studies have found that people who commute by bike are generally happier. And according to my wife, husbands who commute by bicycle are also very good looking and intelligent. I’ll be looking forward to sharing my perspective on the experience of Los Angeles and some of my own personal favorite tips and tricks. Thanks for reading! So true about the cycling comments. 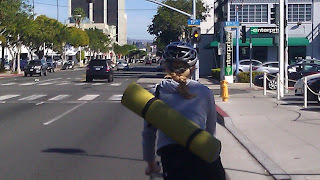 I love cycling every day in LA, despite the terror factor.